Thorn EMI Ultra-Violet Curing lamps are high intensity linear ultraviolet sources. They are designed for use with ultra violet curing inks and other applications which involve the ultra violet curing of large surfaces. The lamps generate substantial quantities of ultra violet radation with major peaks at 254 and 365 nanometre wavelengths. 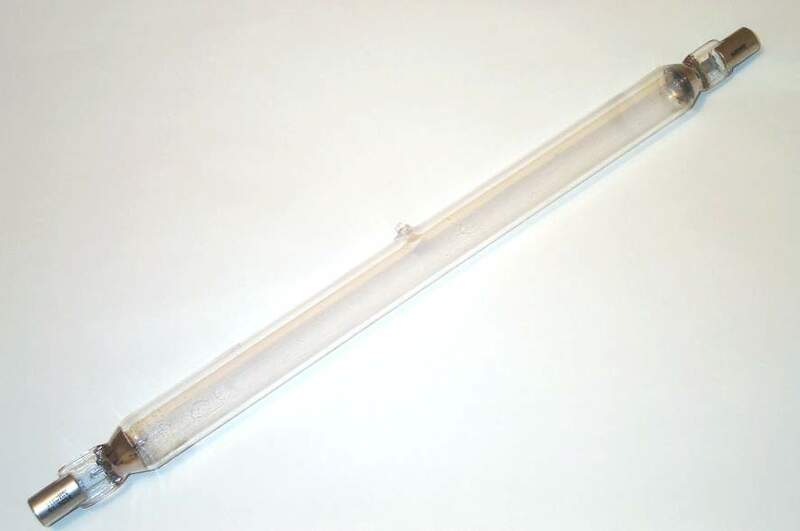 The range of Thorn Linear UV lamps are all designed to be driven nominally at 8 amps, and are operate using a special high output voltage transformer. Total enclosure of the lamps is necessary as they emit UV-C and precautions must be taken to prevent stray radiation which could be harmful to eyes and skin. Similarly, the lamps generate ozone so enclosures must be force-cooled with the extraction directly to outside air. 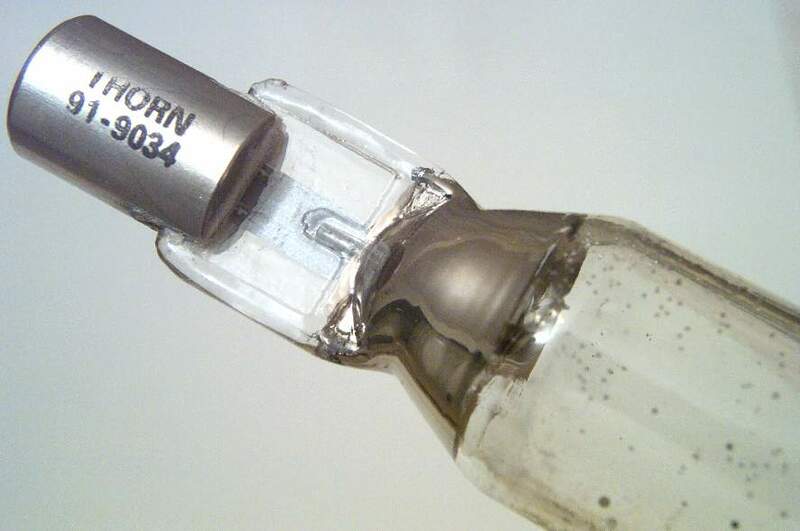 When installed the lamps should be free from contamination, including finger marks, which can be removed with a soft cloth moistened with methylated spirit. All lamps are suitable for operation only in the horizontal position (apart from the linear metal halide MBIL types, which can also be run vertically). References: 1) Thorn EMI / Natgraph Data Sheet 85:28.06 (June 1985).